1 wipe in a sealed, travel size packet. Streak free and lint free. 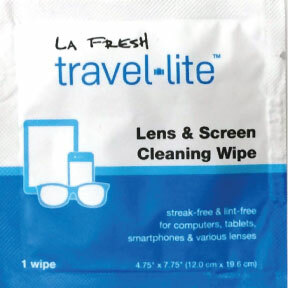 For computers, tablets, smartphones, and various lenses.